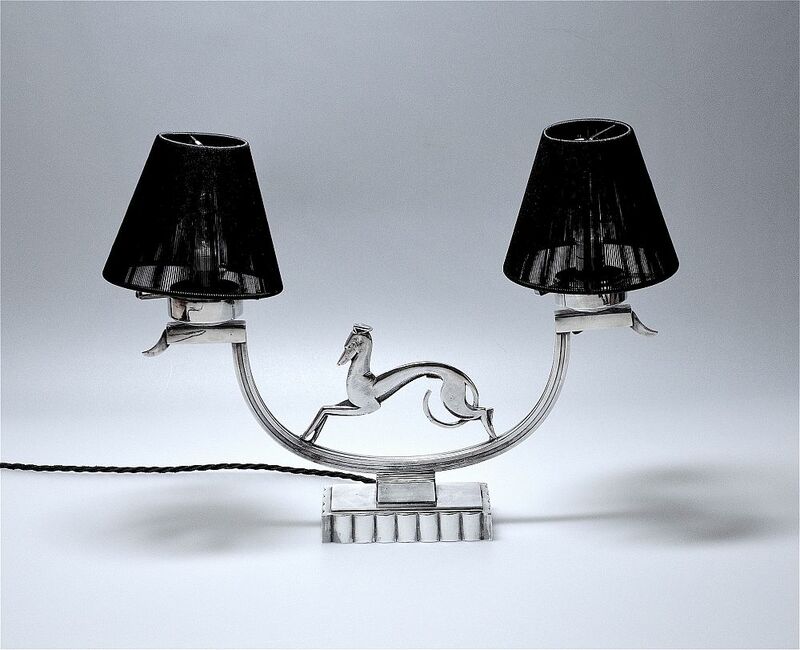 This fabulous nickel plated table lamp was made during the Art Deco period probably in France. In the centre of the crenelated rectangular base is a ridged rectangular section that supports a shallow curved double branch arm in the centre of which is a stylised Borzoi. At the end of each branch arm is a elongated ridged bar with a curved tip, above which is a circular section containing the bulb holder. There is a removable metal tri -arm support for glass shades although it currently has black material shades.